Cargo Logistics Canada is collecting the votes NOW for their 2015 Awards of Excellence. 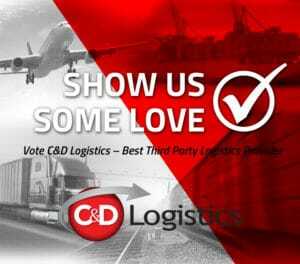 We’ve been nominated in the category of Best Third Party Logistics Provider. If you’ve shipped with us before you know all about our 30/30 Service Standard Commitment so we hope you’ll show your support and vote for us! You can vote online at Cargo Logistics Canada or simply click on the giant “Vote” button below.